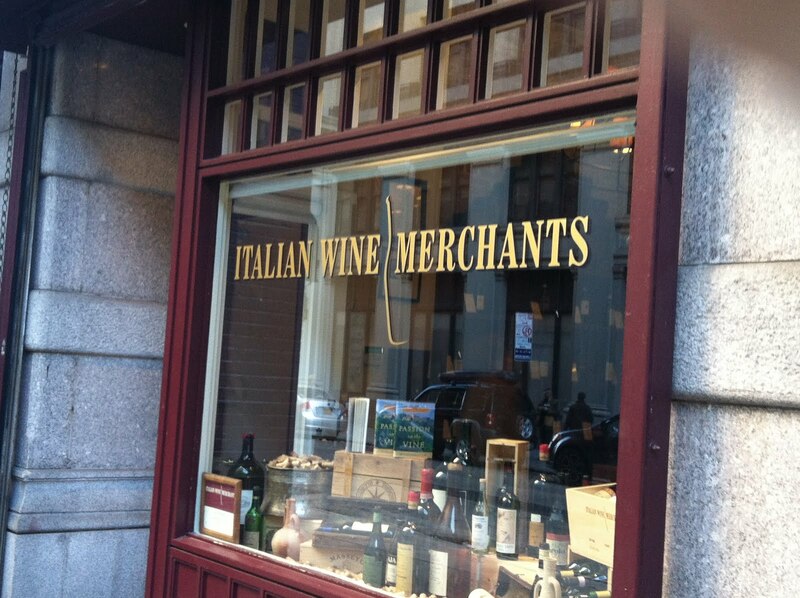 Next stop on the Playing Italy Train: NYC for wine tasting at Italian Wine Merchants. I read Sergio Esposito’s Passion on the Vine over the New Year’s holiday in 2010/11, finishing the book in two days. I was enamored with the lifestyle, the food and of course the wine. With every page, I could almost smell and taste the goblets of Quintarelli, Gaja, Sassicaia…sigh. In true Val fashion I proceed to stalk the author (you should have seen me after reading Into Thin Air – peeps got some pageviews!). I scoured – scoured! the wine shop’s website, Italian Wine Merchants. I was (and still am) determined to join one of the numerous Italian Wine Merchants wine clubs, attend a wine tasting event (or cinque!) and ultimately just set foot in the Italian wine museum Mr. Esposito created. I had the opportunity to do just that in November 2011. I made the two-mile (okay, three miles – stupid GPS) trek from my hotel in Murray Hill to the little wine shop near Union Square. I entered gingerly, terrified I was out of my element; immediately I was greeted by a young woman (hat tip for attentiveness). She asked if I’d been there before and when I said no (and like a star-struck little kid copped to being a fan of the owner’s NYTimes best seller – stupid stupid stupid!) she gave me a quick tour of the space, explaining the price points, regions, etc. And, she poured me a small glass of an open bottle in the main room. They feature a different wine each day that patrons can sip as they browse. She told me every Saturday the store has a wine tasting. I guess I wasn’t clear when I said about seven times “I want to attend, can I sign up with you?” She seemed reluctant to explain how it works. Stupidly (and because I got no direction from the store worker), I assumed it was like the wine tastings I frequent back home – my fave is in the Denver Highlands neighborhood at Mondo Vino. My cousin and I show up, the lively pourer drops an ounce or two into our glasses and we snack on goods from the cheese shop next door. It makes for a fun Saturday afternoon outing. The woman told me sometimes people need reservations, so (as previously noted) I insisted I wanted to sign my coworker and I up. I didn’t want to miss a chance to wine taste at this place I kinda idolize (this time I kept the star-crazed comments to myself). Seriously, she would not just sign me up. I dunno, maybe she thought my puffy Patagonia jacket was too frumpy for her fine establishment. Perhaps Burberry would have been appropriate? If only I had my Marc Jacobs purse to show her I could hang (fine, I got it at Off Saks, but it’s still real!). But, I digress. So, I walked around a bit, sipped the wine and left. I was told the wine tasting was between 1 and 3 p.m. Please, for a moment go back to where my head was – an open wine tasting between 1 to 3 p.m. Imagine my surprise (and disappointment) when I returned the next day at 2 p.m. to be greeted by the same brunette who tells me I am an hour late to the party. First, I reminded her that I’d been there the day before and had said I wanted to do the wine tasting. She told me I could, but it’s $65/ea and it’s halfway done. So, ‘twas my call. Sad day. Naturally, my colleague and I declined due to the cost and only having an hour to play. I’m still bummed about it. When is the next time I’ll be back in NYC? I wish she would’ve just explained to me how the Saturday wine events work. 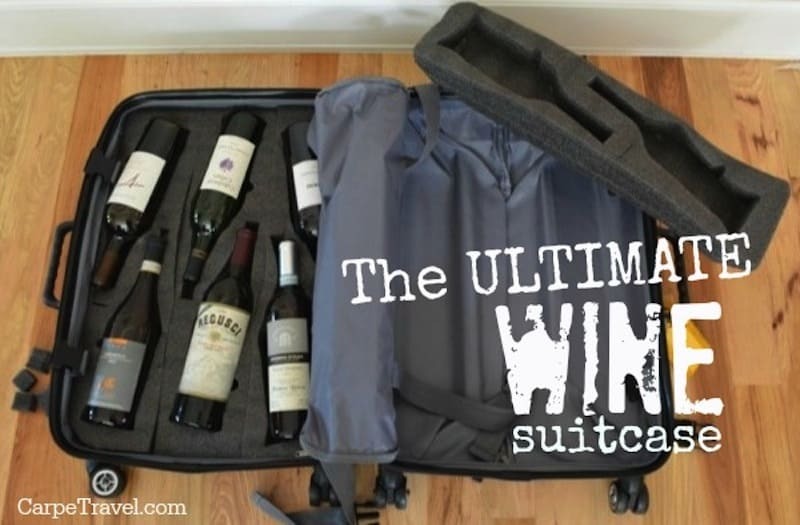 PS – I probably woulda walked out with a case if I’d have attended the wine tasting. Italian Wine Merchants has 160,000 wines cellared – oh, to get trapped in there! The 2009 Rosso di Montalcinos are drinking quite well now. We pandered around and I talked myself out of the Barolo I wanted to buy. What can I say? When I feel jilted the Amex doesn’t see as much action. I am still not on good terms with Plumpjack after being treated poorly in the tasting room about four years ago. Unlike my situation at Italian Wine Merchants, the Plumpjack experience had NO redeeming qualities. I plan to write a post soon on tasting room fees and will certainly devote some prose to that misadventure. Let this be the takeaway: Italian Wine Merchants does a weekly Saturday wine tasting event. Of course, I have now found a great page on their website that explains the whole thing. So, shame on me for missing that. I am usually so prepared! I believe prices can vary, but frequently they are around $65/ea. You can reserve your spot in advance, drinking and gnoshing on meats and cheeses from 1 to 3 p.m. There is a vintage Barolo Tasting on January 14th. Darn – I’ll be running a half marathon in Charleston and can’t make the trip. Now that I know, I’ll make sure to do it right the next time. Sign up in advance! And, disappointment aside, I still long to sign up for The Big Wines Club – en route to Sergio’s Cellar Club. What are your favorite wine shops — and why? Let me know so I can check them out on my travels! Leave a comment or talk to me on Twitter @valeriekq! Previous PostStarbucks, a Russian Coffee House? Hi Valerie, just reading this and more than a little disappointed my colleague missed the boat so bad. Wish we could have made your experience live up to your expectations and if you give us another try I’ll make sure to that. Email me when you are next in NY and we’ll set something up for you that I promise might even surpass what you might expect. Thank you so much for the note. I am honored that you read my post! I will certainly come back on my next adventure in NYC. I’m hoping to get out at some point this Spring – thanks for the offer, I will certainly take you up on that! I have gifted your book to many friends! Everyone loves it as much as I! This was a excellent informative post you have shared on this page about the italian wine merchants but the woman told me sometimes people need reservations, so (as previously noted) I insisted I wanted to sign my coworker and I up. I didn’t want to miss a chance to wine taste at this place I kinda idolize (this time I kept the star-crazed comments to myself). Seriously, she would not just sign me up. I dunno, maybe she thought my puffy Patagonia jacket was too frumpy for her fine establishment. Bummer. Were you able to get in without a reservation?